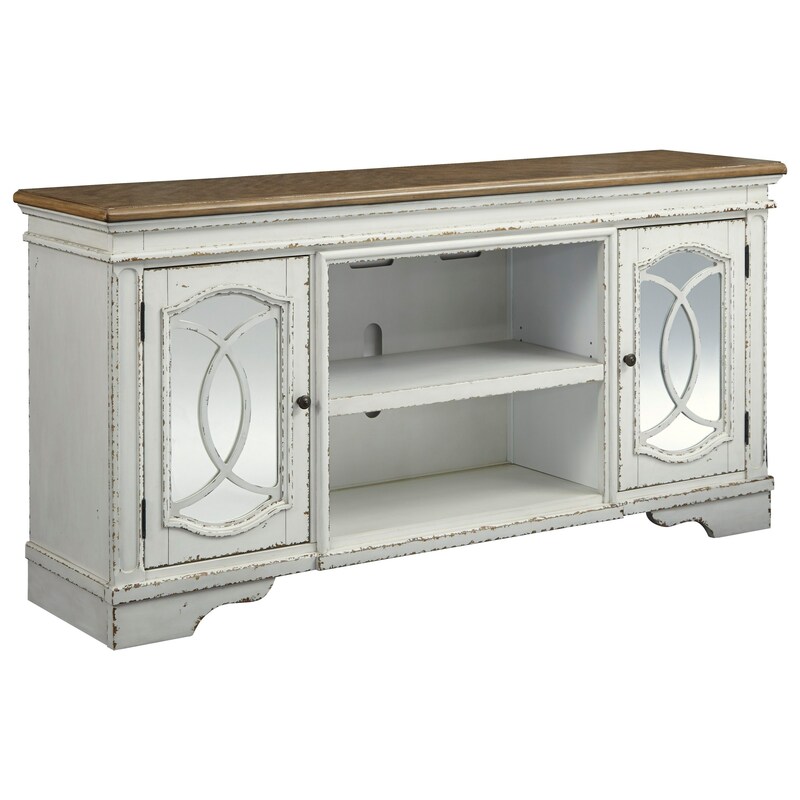 This two-tone TV stand blends traditional and cottage design elements, making it a charming addition to any living room. Mirrored door fronts with filigree mouldings add the perfect contrast to the chipped white finish. Thanks to the removable center shelf, this piece is compatible with the separately sold W100-21 fireplace insert, perfect for keeping your home nice and cozy. The Realyn 74" TV Stand with Mirrored Door Fronts by Signature Design by Ashley at Miskelly Furniture in the Jackson, Pearl, Madison, Ridgeland, Flowood Mississippi area. Product availability may vary. Contact us for the most current availability on this product.